The vowels of the Tetragrammaton, that is, Yehowah or Jehovah (Exodus 6:3; Psalm 83:18; Isaiah 12:2; 26:4) are not a late addition, but represent the original and true pronunciation of the profoundly significant Divine Name. The commonly repeated modern idea that the pronunciation Jehovah is a late and incorrect invention, while Yahweh is the true pronunciation of the Name, is false. No known Hebrew manuscript on earth contains the vocalization Yahweh. On the other hand, the form Jehovah is found in a variety of locations in the oldest Hebrew copies, such as the Aleppo codex and a variety of Biblical fragments dated between 700 and 900, as well as being the universal pointing in the Old Testament Textus Receptus. Jewish scholars such as Maimonides (1138-1204) affirmed that the Tetragrammaton was pronounced according to its letters as YeHoWaH. Were, as the common modern notion affirms, the vowels of the Divine Name simply lifted from Adonai, the yod of the Tetragram would have a hateph pathach underneath it, not a shewa. Furthermore, all the names in Scripture that begin with portions of the Tetragrammaton possess the vowels of Jehovah, not of Yahweh. 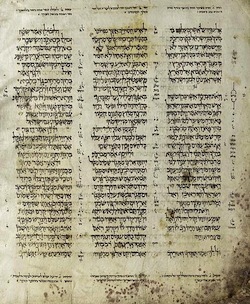 If one wanted to maintain that the vocalization of God’s Name had been corrupted in Scripture, contrary to His declarations that nothing of the kind would happen (Psalm 12:6-7; Matthew 5:18), one would also need to maintain that every name in the Bible that begins with part of the Tetragrammaton has also been corrupted. Jehoadah would really be something like Yahwadah; Jehoahaz would be Yahwahaz; Jehoash would be Yahwahash, and so on. Furthermore, no theophoric names anywhere in Scripture end with an eh, the expected ending were the Name pronounced Yahweh. Similarly, the word Hallelujah and the Greek Alleluia validate the ah at the end of the Divine Name. Furthermore, the Mishna states that the Name was pronounced as it was written, that is, as Jehovah.This pronunciation is also consistent with Talmudic evidence. The plain facts concerning what the vowels on the Name actually are in the Hebrew text, other theophoric names, the Mishna, and a variety of other evidences demonstrate that the Tetragrammaton is correctly pronounced Jehovah. In contrast to the strong evidence in favor of the pronunciation Jehovah, very little favors the pronunciation Yahweh. Since this latter pronunciation is not favored by any evidence in the Hebrew of the Bible, nor in other ancient Jewish documents, its advocates must look outside of Scripture and Jewish texts for evidence in its favor. This they find in the late patristic writers Theodoret and Epiphanius, who give Iabe as the pronunciation of the Tetragrammaton, although the former distinguishes this vocalization as the pronunciation of the Samaritans. These statements constitute the most substantive and strongest argument in favor of the pronunciation Yahweh. Also, papyri involving pagan magic, and in which every possible and impossible designation of deities, Greek, Egyptian and Semitic, is found in profuse variety, contain invocations that sound like the word Yahweh. To use the speculations of two patristic writers—one of whom even specifies that Yahweh was a Samaritan pronunciation, and that the Jews used something else—to overthrow the vocalization of the Name in the OT Textus Receptus, Jehovah, is entirely unjustifiable. To use a name found in some pagan papyri that are invoking numberless idols and demons to reject Jehovah is even worse. The evidence for the pronunciation Yahweh is very poor, and totally insufficient to overthrow the powerful and numerous evidences in favor of the pronunciation Jehovah. The error that Yahweh is the correct pronunciation of the Divine Name is connected to the error that only the consonants of the Hebrew text are inspired, while the vowels were invented by a class of Jewish scribes around the tenth century A. D. On the contrary, Scripture and solid evidence demonstrates that the words of the Hebrew text—including the vowels—are inspired and were recorded by the Biblical authors. Extensive evidence for the inspiration of the Hebrew vowels is provided in my essay “Evidences for the Inspiration of the Hebrew Vowel Points” in the Bibliology section of my website (http://faithsaves.net/bibliology/). The evidence for the pronunciation Jehovah above is a summary of Appendix 1 of the same essay on my website, where extensive documentation and a more detailed discussion is provided. The question is also discussed in lecture #1 of my class on Trinitarianism (http://faithsaves.net/trinitarianism/). My essay "The Debate over the Inspiration of the Hebrew Vowel Points" should also be mentioned. The previous report by Thomas Ross is re-published by permission of the author.